In school Cadet Corps. 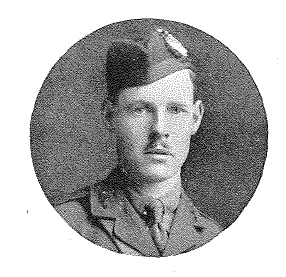 On leaving school he joined No 3 Company of 5th Cameronians (Scottish Rifles) with whom he served for 4 years but at the outbreak of war he enlisted in the Cameron Highlanders on the 7th September as private S/12204. By February 1915 he had progressed through the non-commissioned ranks and reached Sergeant. He served in France from 10th May 1915 and was wounded in the left forearm and hip (or thigh) on the 25th September during the Battle of Loos. He was invalided home at the beginning of October and remained in Britain until he returned to France on 16th August 1916. 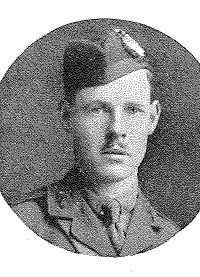 During this period at home he received a commission in the 6th Battalion Cameronians as Second Lieutenant on 16th August 1916. 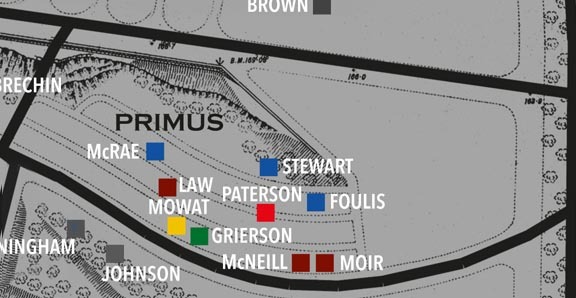 However, by the time he received his commission this battalion which had suffered heavily during the early part of the Battle of the Somme had been merged with the 5th Battalion Cameronians to form a composite 5/6th Battalion. As a result it seems that when Stewart returned to the front he was actually attached to the 2nd Battalion of the regiment. Killed during an assault on a German trench known as Zenith during the Battle of Le Transloy, a later phase of the Battle of the Somme. Stewart was originally buried at Map Reference 57c.N34.b.9.9. before being exhumed and moved to the Guards’ Cemetery during the post-war battlefield clearances and concentration of cemeteries. Son of Archibald and Christina Frances MacKellar Stewart, of Partick, Glasgow. High School of Glasgow. Played for the First Fifteen. Much of the information on which this profile is based is drawn from various internet sources which are listed below. 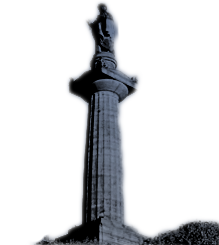 The Friends of Glasgow Necropolis also wish to make full acknowledgement and thanks for the permitted use of any information or images generously supplied specifically for exhibition, publication or display in connection with The Roll of Honour and accompanying profiles to the High School of Glasgow, the Cameronian’s Museum, Ancestry, and Find my past.